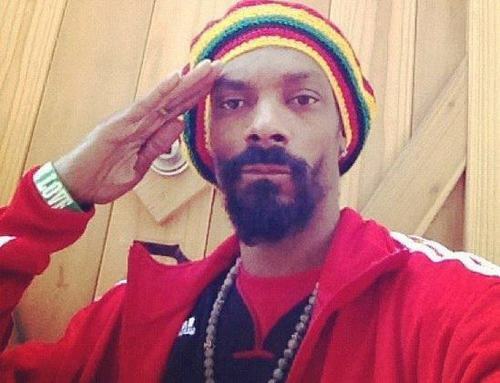 By now you’ve heard the news: Snoop Dogg has officially changed his name to Snoop Lion. After a soul-searching trip to Jamaica last February, the legendary West Coast rapper (now a 40-year-old father of three) is a changed man. To prove it, he came back with a new, reggae album, Reincarnated (with help from Diplo), and a documentary of the same name (with help from Vice), premiering September 7 at the Toronto Film Festival. The whole thing seemed suspect to me initially –- Did he smoke some new potent kind of weed we don’t know about? Is this a mid-life crisis? Is he bored? All fair scenarios, by the way, but I was still undecided. That’s why I called on someone whose opinion and musical expertise I respect greatly, Mr. Boomshots himself, Rob Kenner. Rob is an old friend, and one of the toughest/most talented editors I’ve ever had the privilege to work with. He’s also the most prominent reggae music journalist in America. During his tenure at Vibe magazine (we met while I worked there almost a decade ago) he founded the only column in a major U.S. media outlet on all things reggae, Boomshots, which is now its own magazine/website, of which he is the publisher. His day job is Senior Editor at Complex Media Network. Above all things, Rob is a lover of good riddims. Every Monday night from 7-10pm, you’ll find him behind the DJ booth at Miss Lily’s Variety in NYC (a West Indian-themed gallery, record store, juice bar and boutique owned by the same folks behind Miss Lily’s, the Jamaican restaurant on Houston and Sullivan) for his radio show, “Strictly Boomshots,” which is livestreamed on RadioLily.com. Everyone from Jimmy Cliff to legendary reggae producer Clive Chin has stopped by the show and it hasn’t even been on the air for a year. That tells you how much of an authority Kenner is on reggae. Miss Lily’s is also the place where Snoop held his press conference last week to announce his reincarnation, so right after that, he walked over to Rob’s booth and the two chopped it up, settling the score once and for all about who has the best ‘vegetation,’ Jamaica or California. So just how authentic is the Doggfather’s identity switch? Well, to his credit, Snoop has been flirting with reggae as far back as The Chronic (you can hear it clearly toward the end of “The Day The N**gaz Took Over”). Kenner declares: “It’s sincere.” And he meant it. Here’s why. Read the rest of this story on Fusion (ABC/Univision), where it was originally posted. « The best of my live Twitter chat with Juanes!